The National Football League’s Green Bay Packers may have put this northern Wisconsin city on the map, but the town of Green Bay and the surrounding area has plenty to offer, whether it’s football season or not. This year marks the centennial for the local NFL team. The Green Bay Packers were founded on August 11, 1919. Though many visitors come to explore the team history, both past and present, there are many other hidden treasures throughout Green Bay worth discovering as well. Brown County Fairgrounds in nearby De Pere, is less than five miles from the heart of Green Bay and Lambeau Field, home of the Packers. This is a great location if you’re exploring Green Bay, attending a game, or training camp. Brown County Fairgrounds is pet-friendly and located along the west shore of the Fox River. Accommodations include full hook-ups, 30/50 amp electric, restrooms, showers, water access/boat landing, a dump station, and more. The Brown County Fairgrounds provides 57 urban campsites only minutes away from Lambeau Field. The campground is located along a public transit route with bus stops before and after Packer games for your convenience. Offering a true home-field advantage, and located directly across the street from Lambeau Field is Lodge Kohler. With 144 rooms and suites, Lodge Kohler also features the popular Tavern in the Sky rooftop bar and restaurant, along with a cozy outdoor terrace, and a one-of-a-kind Kohler Waters Spa, with a wide variety of treatments. 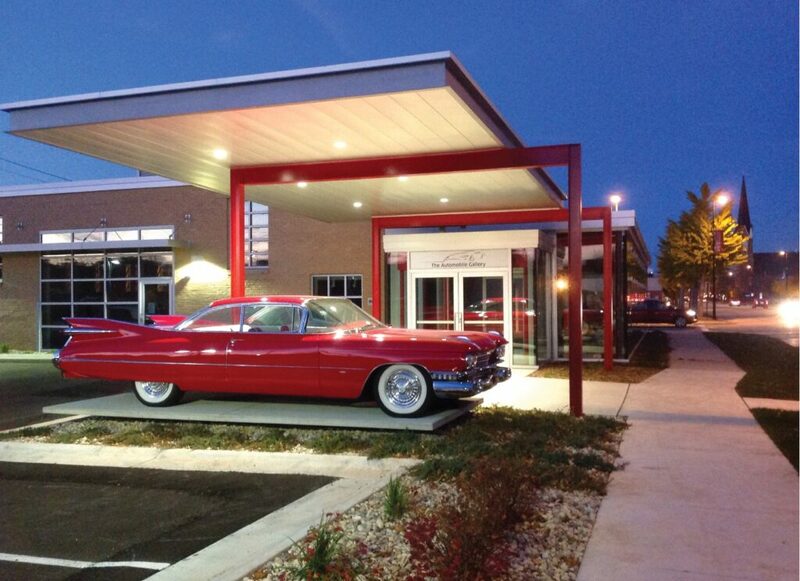 Nearby, The Automobile Gallery is a walk down memory lane. Opened in 2016, the gallery features more than 40 vintage vehicles in an 18,000 square-foot space. From a 1912 Maxwell to a 2016 Shelby Hertz Edition, The Automobile Gallery collection spans more than a century of automobile history. The National Railroad Museum continues to chug along, dedicated to preserving the nation’s railroad history. The 33,000 square foot museum is set on 33 acres adjacent the Fox River. More than 70 locomotives and railcars are on exhibit, including the newly restored Dwight D. Eisenhower. Whether it’s football season or not, you can get an inside glimpse of the storied history of the Green Bay Packers by taking a Lambeau Field Tour. This gets you up close and personal with the past. You can also experience the Green Bay Packers Hall of Fame. 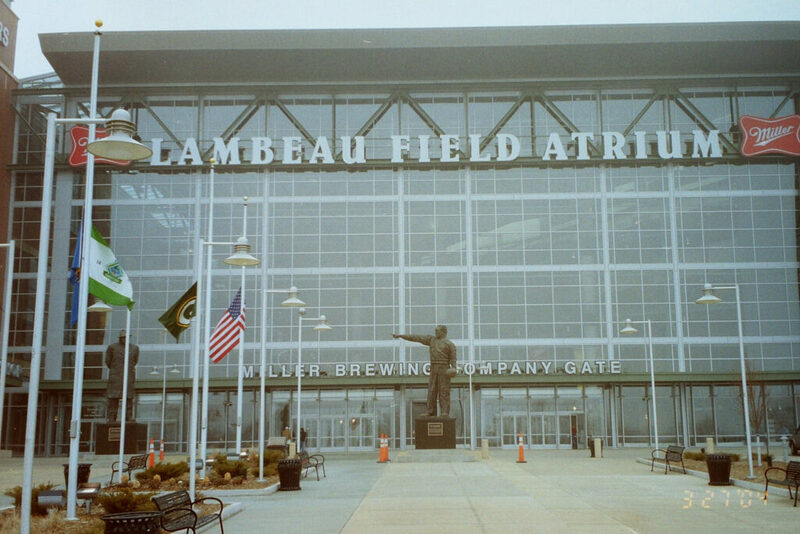 Located in the atrium entrance of Lambeau Field, visitors absorb the history that’s displayed on two stories. Exhibits include four Super Bowl trophies, a replica of Vince Lombardi’s office, and a recap of the first 100 years. You can also take home a memory or two of your visit to Green Bay by stopping in the Packers Pro Shop. Also not to be missed is the Oneida Nation Walk of Legends. Located near Lambeau Field, it features stories and photos on large granite-engraved monuments. After all this activity, head across the street to Hinterland Brewery for a bite to eat and a sample of their craft beers. In fact, you can explore Green Bay’s untapped craft beer scene, which offers a variety at several locations. There are many more offerings in the immediate area, including Titletown. This 45-acre development adjacent to Lambeau Field boasts a variety of amenities, a brewery, and an outdoor park experience with year-round classes and cultural programming. Titletown is the perfect place to enjoy the fresh air, no matter the season. 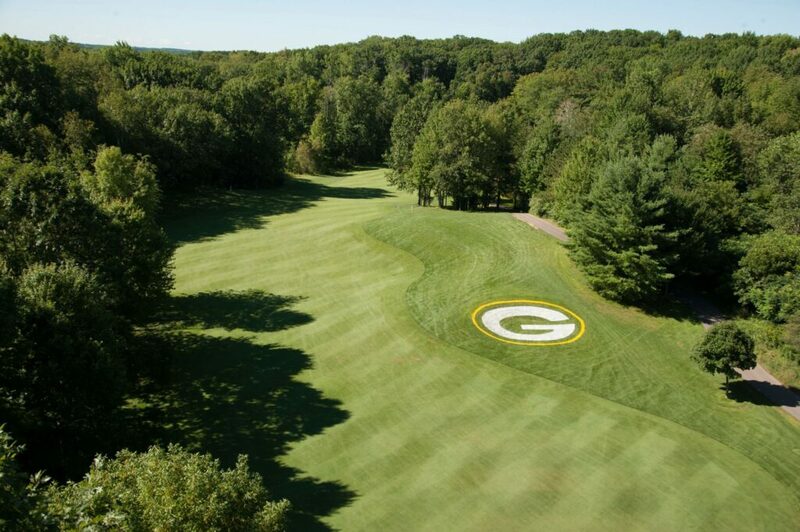 Golfers will be thrilled to tee it up at the official golf course of the Green Bay Packers. Thornberry Creek at Oneida will also host the third edition of the LPGA Classic over the July 4th weekend. The course is made up of the 18-hole Legends Championship Course and the original Iroquois 9-Hole course. Featuring a Packers’ “G” embossed on the first fairway, the Legends Championship Course offers plenty of variety throughout the challenging 18 holes. The course features more than 70 sand bunkers and 11 water hazards. The par 72 course stretches to 6,934 yards. The nine-hole Iroquois course is a par 36 that measures 2,952 yards. The course holds the distinction as one of only 10 official PGA Family Courses in the state of Wisconsin. To learn more about the many offerings throughout greater Green Bay, check out Visit Green Bay.